By the end of 1820s, the initial abortive efforts of Sir Thomas Munro in Madras and Mountstuart Elphinstone’s in Bombay to revive traditional Indian education were being replaced by programmes to introduce ‘useful learning’. 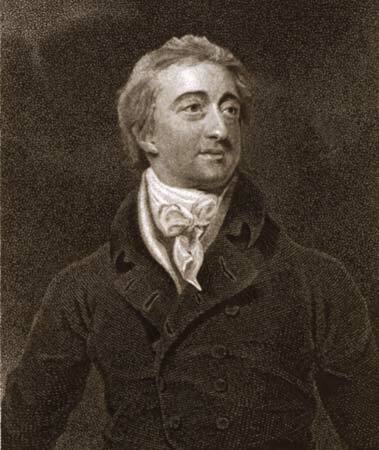 Lord William Bentinck, whose Governor Generalship began in 1828, carried with him the reputation of "a man of a violent and haughty nature, imbued with English prejudice and regarding the English constitution as the salvation of the human race," and an earlier failure, as Governor of Madras that ended in a recall after the Vellore Mutiny of 1806 (sparked by, among other things, attempts to change Sepoy dress codes and discipline). Bentinck was a reformer, deeply impressed by the Utilitarian ideas of Jeremy Bentham (Bentinck, who met Bentham before he left for India, reportedly told the philosopher, “I am going to British India, but I shall not be Governor-General. It is you that will be Governor-General”) and his appointment marked a clean break with the conservative sympathies of Lord Amherst. Equally significantly, Bentinck carried a mandate to reduce the expenditure of Indian administration: This meant, apart from reducing military expenditure, inducting Indians in some of the judicial positions in the government service. This was also a time of great change even in the conservative Company Court, where Utilitarian James Mill ascended to the office of Chief Examiner in 1830. The Utilitarian view of India was broadly similar to the Evangelicals, as both of these were deeply critical to the Conservative reverence of ‘ancient constitution’ of India. These were ‘movements of individualism’, and had little regard for custom or entrenched elites. Both these approaches argued that ‘until men were fully educated, and until they had sufficiently disciplined themselves to forego immediate pleasures for the sake of lasting happiness.. a ‘severe schoolmaster’ was necessary in the form of law.’ However, while Evangelicals prefered divine law, the Utilitarians wanted to design legislation that artificially weigh delinquent acts with pains of punishment. And, while education was central to the evangelical scheme of bettering the world, for Mill and the early Utilitarians, education in the form of schooling was only of secondary importance: The emphasis, for the utilitarians, was on home life, public opinion and most importantly, on the law and government. This meant imposition of English style courts and legal codes, drawing upon the works of the Orientalists in translating and codifying Indian law and redesigning the Land Revenue system to expropriate the ‘rent’ from the land, following the ideas of David Ricardo, for the government. India provided a great laboratory of ideas for the Utilitarians, and with Bentinck and James Mill in positions of influence, Bentham could self-appoint himself as the ‘sole legislator of India’. Following Bentham’s ideas, Bentick’s administration sought to implement sweeping changes in the Indian legal system and this led to Macaulay’s appointment as a Law member of the Governor-General’s Council where he served from 1834 and 1838. With the expanding employment prospects, the enthusiasm for higher education delivered in English expanded rapidly. The Missionary institutions were the main beneficiaries of this rapid growth in number of pupils and the schools and colleges founded by them grew in size and prestige. Reverend Alexander Duff arrived in Calcutta in 1830 at the very moment of this pivotal change and under his stewardship, the General Assembly Institution grew in reputation and stature. At the time of Company’s Charter Renewal of 1833, education had emerged as an important function of the India administration. A new allocation of ‘ten lac rupees per annum’, ten times that of the 1813 Act, accompanied the final disbandment of Company’s trading privileges in India altogether. This set up the competition of interest, between the missionary and private institutions on one hand and the government institutions on another, a competition that had a defining impact on the shape of Calcutta and other Presidency Universities. Taken together, the pivotal changes brought about by Bentinck’s administration and much expanded government educational activities necessitated the articulation of a new policy position. The Company’s empire was, by this time, vast in its holding and secure in its position, with a class of beneficiary, new landlords, traders and newly employed professionals, who owed their prosperity to the company rule and were, therefore, steadfast in their support. This was a very different reality from 1793 (or 1800), when expansion of higher education was assumed to be the breeding ground for republican sympathies; it was also very different from 1813, as Indians had proved themselves to be willing and able to complete College education successfully. Macaulay’s minutes, adopted by Bentinck in July 1835, aimed to supply a policy statement fit for this new reality, providing the framework for expansion and development of modern higher education system in India.